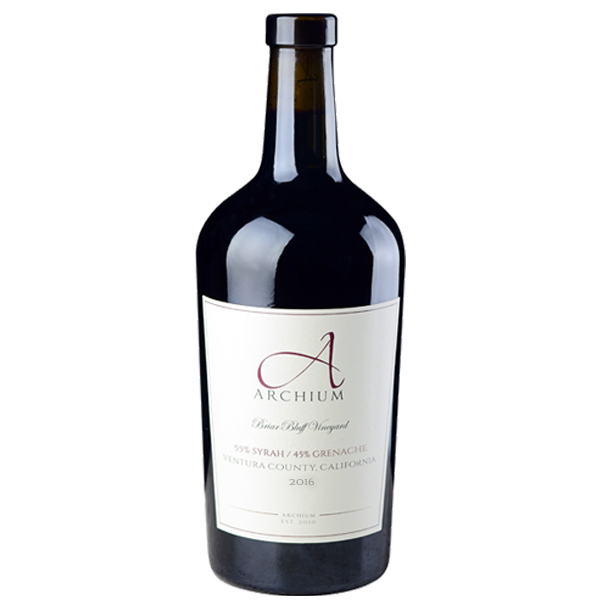 In 2008, with designs on founding Archium Cellars, we planted an estate vineyard on a small parcel of land in Ventura County. The overall purpose was to not only become deeply involved in the winemaking process, but also to possess a firm comprehension and appreciation for viticulture. Archium Briar Bluff Vineyard Blend is the result of hand-planted, hand-tended vines, meticulously and organically cultivated under our own roof. A south-facing exposure and 900 foot elevation allows the sun to warm Briar Bluff’s vines during long summer days, while its proximity to the ocean cools them at night. The rocky loam soil challenges the vines to thrive, and the result is vibrant, intensely flavored fruit. Priority is given to Archium Archive Club members upon release.